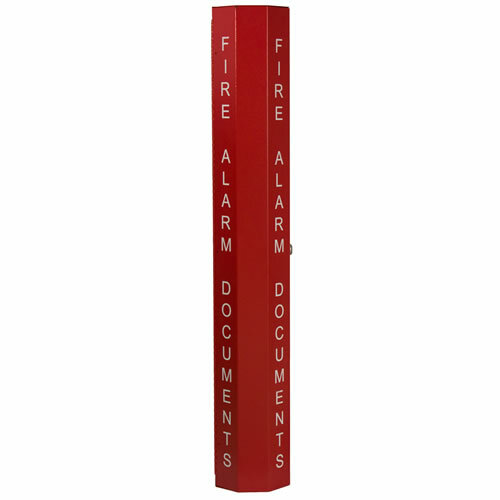 1" white indelible lettering "FIRE ALARM DOCUMENTS"
The DSB (Drawing Storage Box) is an ideal solution to safely secure your critical building emergency plans such as evacuation and building layout drawings. 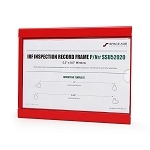 In the event of an emergency, you are assured that responders will have immediate access to the proper drawings and information required. 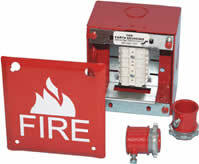 A critical and responsible component to any EOP (Emergency Operation Plan). 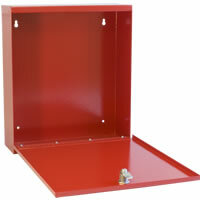 The DSB (Drawing Storage Box) is engineered using 18 gauge cold rolled steel and coated with a durable RED epoxy powder coat finish. 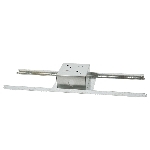 A full length stainless steel hinge provides a long lasting durable construction. 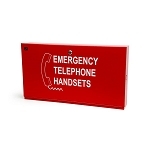 One inch tall lettering silk-screened with permanent white indelible ink on 2 sides provides a full 180 degrees of viewing for immediate identification to emergency responders. The DSB (Drawing Storage Box) securely holds up to a 4" diameter 36" tall architectural roll of drawings. 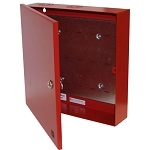 With an industry standard key lock, the cabinet provides secure storage from improper access or removal of critical documentation. 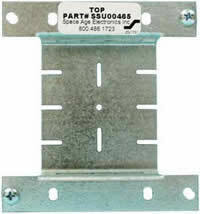 An additional retainer inside the box holds drawings securely upon opening the door. 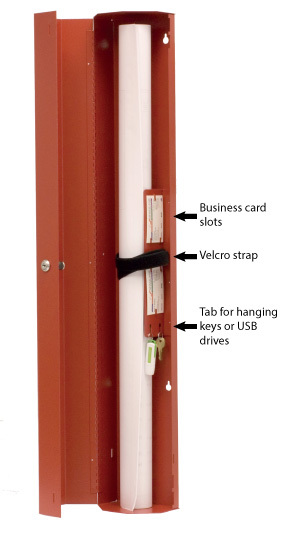 This cabinet also allows space to store other critical disks, USB drives, keys and contact information for the system. The DSB (Drawing Storage Box) is an ideal solution to safely secure your critical building emergency plans such as evacuation and building layout drawings. 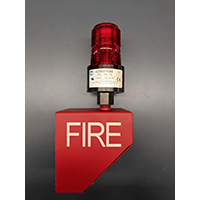 In the event of an emergency, you are assured that responders will have immediate access to the proper drawings and information required.